Since September 2013 Carlos and Denise Brunk have been meeting with a core group of believers on the island to establish a new church. In December 2013 Carlos and Denise became the second couple to be accepted by the Board of Grace Ministries International as GMI Partners. Carlos and Denise Brunk were married in 1990 on the Island of Curacao after graduating from Grace Bible College with a Bachelors in Theology. After their wedding Carlos became the pastor of the Grace church in Curacao. 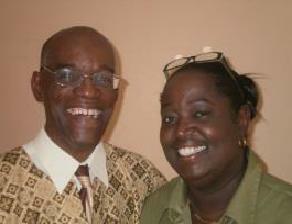 The Brunks then moved to the Netherlands where they started a church and were there from 2003 until 2012. That is when they felt the Lord’s leading to move to Bonaire and start a the Grace church (Ministerio di Grasia Bonaire) in a Community Center in the district of Tera Kora. About 2,000 people live in this area, mostly Antillean people. On Saturday night, September 6, 2013, they showed their first gospel movie in the community and had their first official church service on Sunday, September 7. To learn more about their ministry and/or donate to their ministry click HERE.